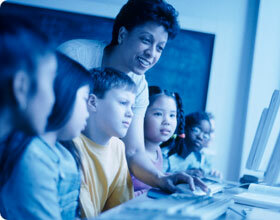 Technology is all over the place and Teach-nology caters to that. Their resources are free and easy to use. They have over 46,000 lesson plans, nearly 10,000 worksheets, not to mention rubrics, tips for teachers, worksheet generators, web quests and lots more. It's aimed at students in grades K-12, so if you teach that age group, you're going to want to check out this site. It's nice and easy to use and there's even a newsletter that you can sign up for. While a lot of their resources are free, they also have a paid membership section, which varies from $30 to $50 a year.